This October 21st, T.I. 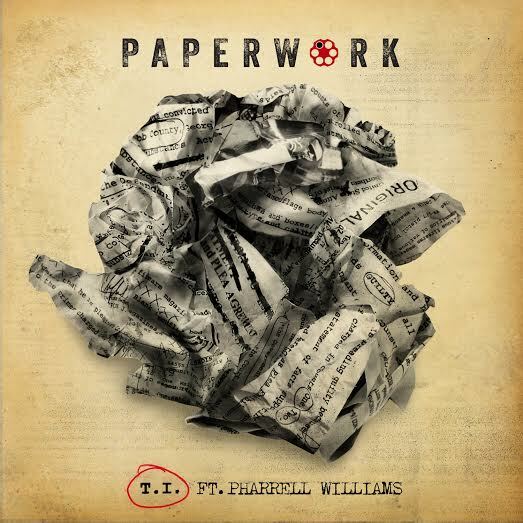 will be releasing his long-awaited Paperwork album. While we’ve seen hits over the summer in the likes of “No Mediocre” with Iggy Iggy Azalea and “New National Anthem” with Skylar Grey, the KANG slows things up for the streets with his latest effort “Paperwork.” The track went live on iTunes for the pre-order earlier tonight, but the response was so positive, the Hustle Gang team decided to bless the public with the track. Although we don’t expect this release surpass the popularity of their previous hit “Blurred Lines,” we feel confident for T.I.P.’s project, which is also executive produced by his collaborator here, Pharrell Williams. Tagged with: Music Pharrell T.I.